London, Oct 23 Besides a healthy lifestyle and diet, dental health also plays a significant role in triggering high blood pressure (BP), according to a new research. People with healthier gums were found to have lower blood pressure and responded better to BP-lowering medications, compared with individuals who have periodontitis -- serious gum infection that damages gums and can destroy the jawbone. Importantly, poor oral health was found to interfere with blood pressure control in people diagnosed with hypertension. They were 20 per cent less likely to reach healthy BP ranges, compared with patients in good oral health. The findings stressed that patients with periodontal disease may warrant closer BP monitoring, the researchers said. "Physicians should pay close attention to patients' oral health, particularly those receiving treatment for hypertension, and urge those with signs of periodontal disease to seek dental care," said Davide Pietropaoli, a post-doctoral student from the University of L'Aquila in Italy. "Likewise, dental health professionals should be aware that oral health is indispensable to overall physiological health, including cardiovascular status," Pietropaoli added. For the study, published in the journal Hypertension, the team examined more than 3,600 people with high BP. 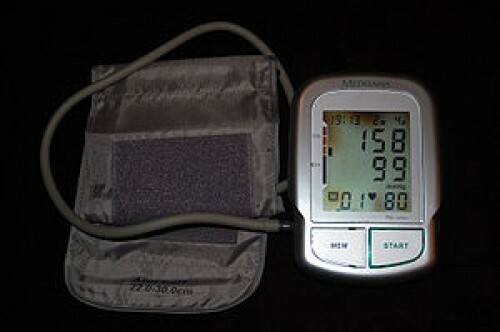 The target blood pressure range for people with hypertension is less than 130/80 mmHg. Patients with severe periodontitis were found to have systolic pressure (top number) that was, on average, 3 mmHg higher than those with good oral health. "Patients with high blood pressure and the clinicians who care for them should be aware that good oral health may be just as important in controlling the condition as are several lifestyle interventions known to help control blood pressure, such as a low-salt diet, regular exercise and weight control," Pietropaoli noted.